You might call it influencing, advocating or campaigning, but all these activities are about creating systemic change. 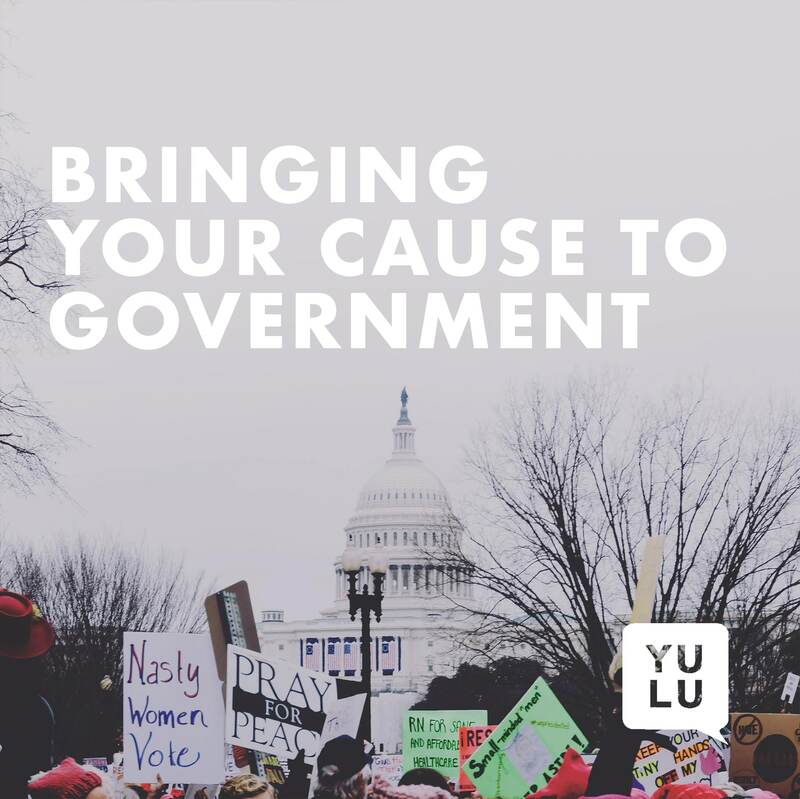 Campaigning and bringing your cause, and case, to government through a government relations campaign is about the mobilization of forces by an organization or individual to influence others to effect an identified and desired social, economic, environmental or political change. Campaigning and advocacy fulfils all kinds of essential functions in a flourishing democracy, from holding politicians to account to empowering the marginalized. It can also be one of the most cost-effective ways of achieving impact on the issues you work on; holding out the prospect of delivering sustainable change to the benefit of people. Below are some tips on how to get heard by government and campaign efficiently to effect systemic change. Central to any communications campaign is a clear vision of what it is you are looking to achieve. Set out what the campaign is intending to gain or change, and develop communications objectives that will deliver this. Goals should be achievable; measurable; focused on outcomes, not outputs; and related to evolving attitudes and behavior. Identify who it is in government that can help you achieve the change you are seeking. Research what that policymaker/politician’s background and stance are on your issue, and formulate clear and realistic demands. In the era of emails, texts, and social media, receiving a letter in the post is rare, but individual messages to politicians can be compelling. The best way to influence through letter writing is to write to your local representative asking her or him to raise the issue with the relevant Minister – your local rep is your trojan horse here. That way your local representative becomes aware of the problems as well as the Minister. By convention, a letter forwarded by a local politician to a Minister must receive a Ministerial reply. Letters should be to the point, solutions-focused, reference relevant research supporting your argument, and your ideas/project should link to government policy to effect systemic change. Often a phone call can carry more weight than an email or a social post, and a phone ringing off the hook is harder for a lawmaker to ignore than a flooded inbox. When you’re an individual or part of a larger group, the telephone is an accessible and authoritative medium for participatory democracy. Government telephone lines are often busy, but persistence will pay off in the long-run. If you’re met continuously with busy lines, an app called Stance enables you to record messages for your elected representatives, then delivers it at night when phone lines aren’t as active. Online civic engagement tools are on the rise, and digital participation has helped amplify the voices of millions of citizens across the globe. Social media, specifically, has changed the face of legislative lobbying and allows policy-makers to learn quickly what ordinary people want – it also makes decision-makers accessible to the average person. Petitions can take citizen participation to new levels by mobilizing supporters and inspiring real change. To politicians and lawmakers, petitions demonstrate either existing organizational strength or the ability to organize. The most effective online organizations deliver their petitions in person with great fanfare and capture it on video and with photos to report back to supporters, to gain traction with the aim of going viral. This way, both the person(s) you’re trying to influence will be under more pressure to take notice, and those who have supported the petition will see that their signatures weren’t going into a black hole. Change.org, a B Corp (like Yulu PR! ), is a powerful and free e-petitioning website which can be used to form online petitions about the most pressing issues in people’s lives and communities. High-volume petitions can also lead to media coverage and support from high-profile like-minded individuals too. It’s been a tumultuous couple of years with unparalleled global activism and the rise of new media contributing to how political advocacy is conducted and affecting policy. In the future, we can expect more and more individual citizens, organizations, non-profits, and private companies speaking out on social issues and engaging in various forms of advocacy, and in turn, creating systemic change.